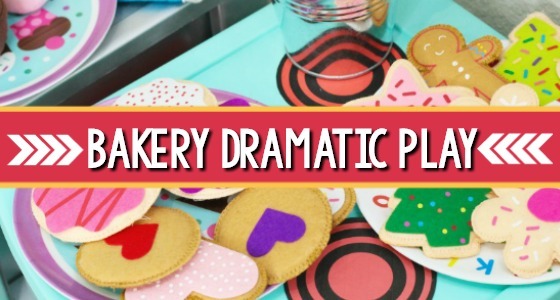 Dramatic play is an integral part of early childhood. 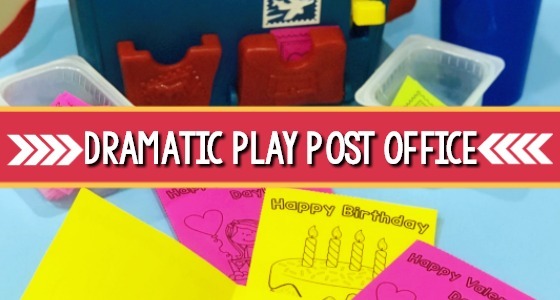 This post office pretend play is perfect for a classroom teacher to change up this center for a community helpers theme or for anytime play at home with your preschoolers! 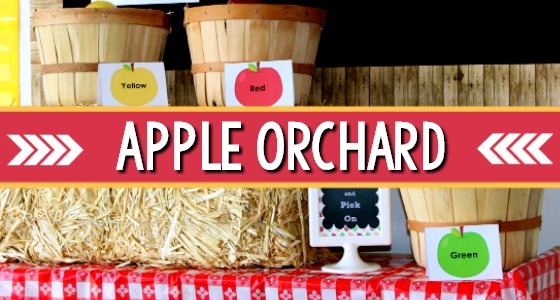 It provides plenty of opportunities for authentic pre-reading, writing, and fine motor practice as well as fun. 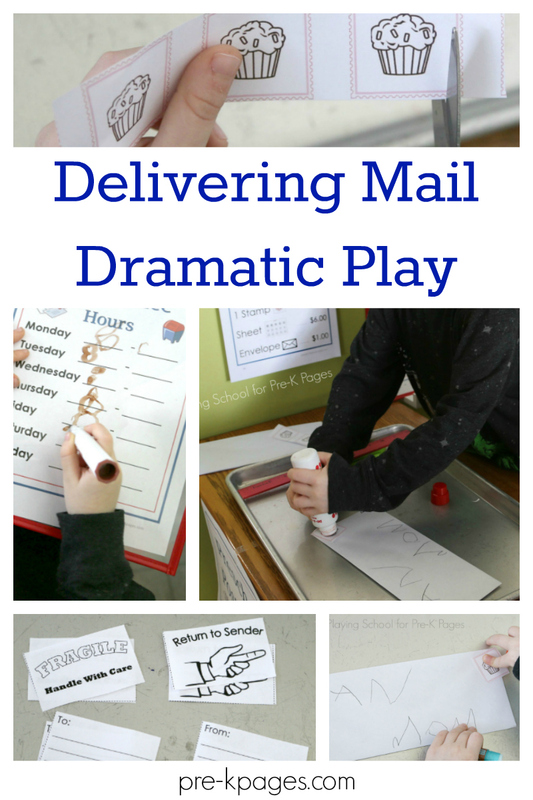 Why Is Dramatic Play Important? Dramatic play encourages children to put themselves in other people’s shoes by acting out and becoming someone else. It helps to build empathy. 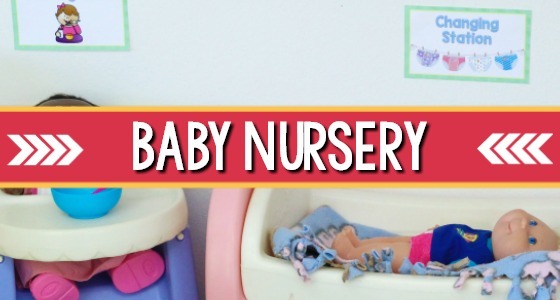 They will learn important social skills and helps with language development. 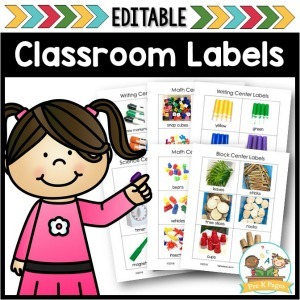 Standard preschool supplies such as scissors, glue stick, tape, etc. The first step in opening your post office is to read some books about the topic, you can find a list of our favorite post office read-alouds here. 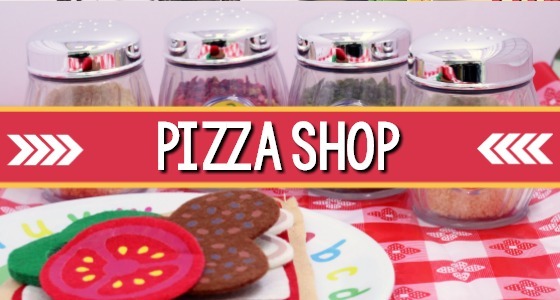 Then, show your children the Open/Closed sign! 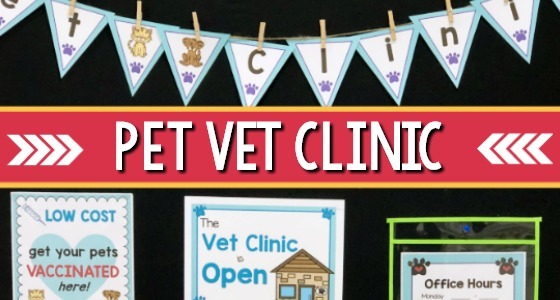 We glued our signs back to back and punched a hole in the top so the preschoolers can switch the sign easily at the beginning and end of their day. 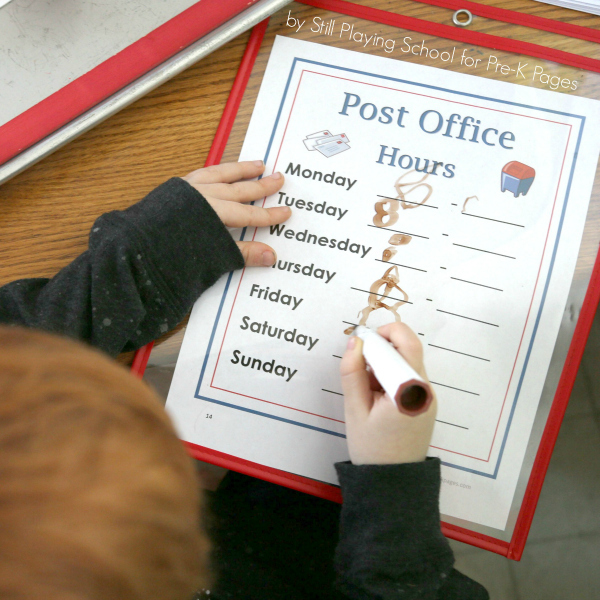 We just slipped the Post Office Hours sheet into a reusable clear sleeve, but you could also choose to laminate it. 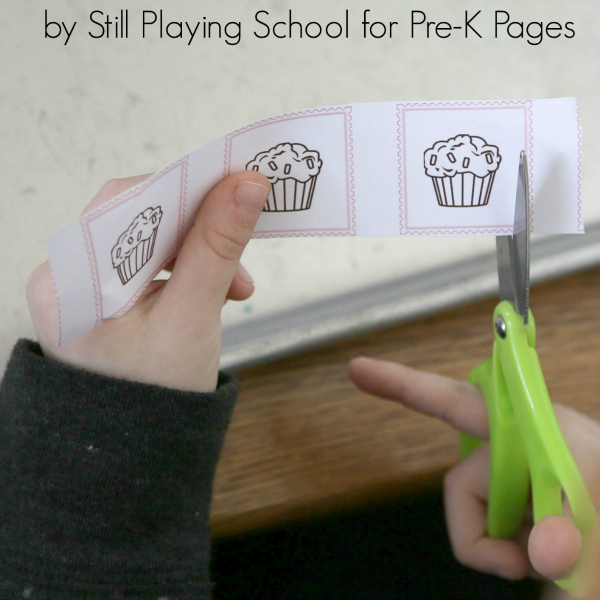 This way children are working on pre-writing, cutting, and math skills while they play! 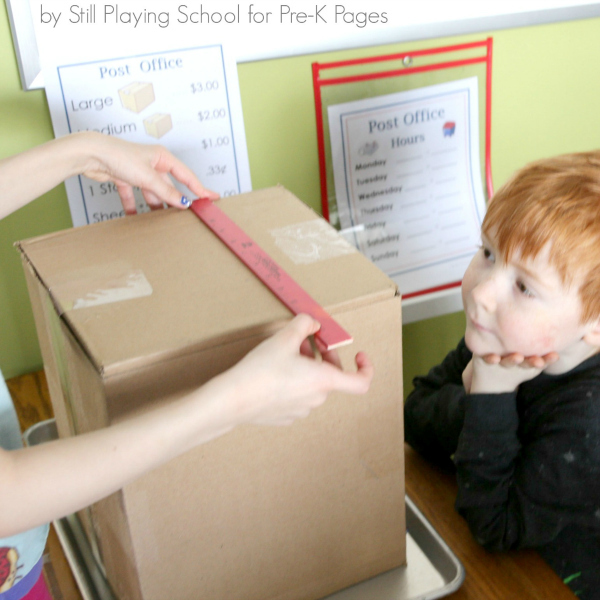 We added a ruler so our preschoolers could measure the boxes and classify them as large, medium, or small. They really enjoyed writing and gluing the labels to the boxes. 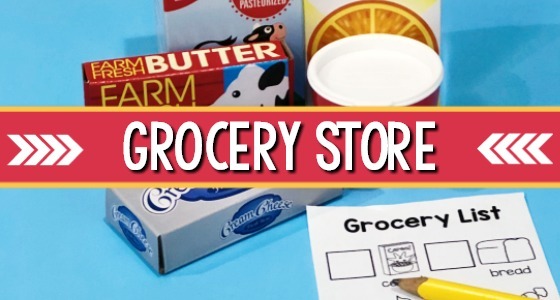 You could attach a clear plastic pocket to the boxes to reuse the materials year after year! 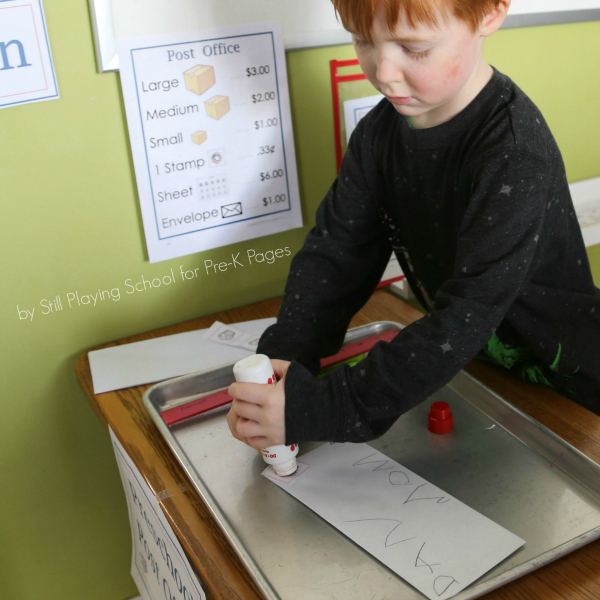 A favorite idea that we included was a Do-a-Dot Stamp Marker so the children could pretend they were postmarking the envelopes over the stamp. Bring in a real piece of mail to demonstrate how this aspect of our postal system works. 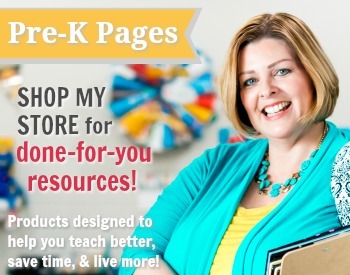 Include pencils, pens, and paper for lots of writing opportunities. 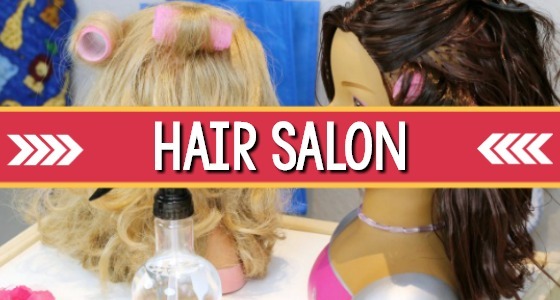 Collect junk mail and old magazines for additional mail materials. 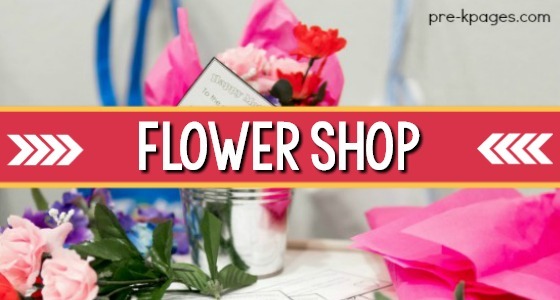 Add postcards with pictures of different locations; or make postcards by printing photos or clip art onto heavyweight paper and cutting into rectangles. Read books about the post office and mail delivery. 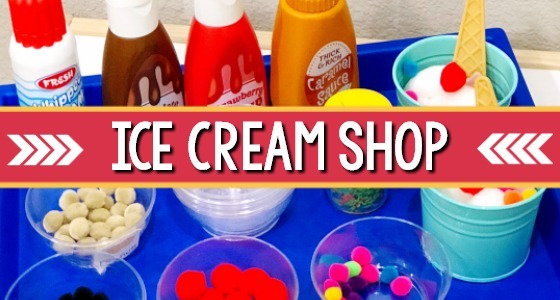 Your preschoolers may have more ideas about what can be added this dramatic play center. 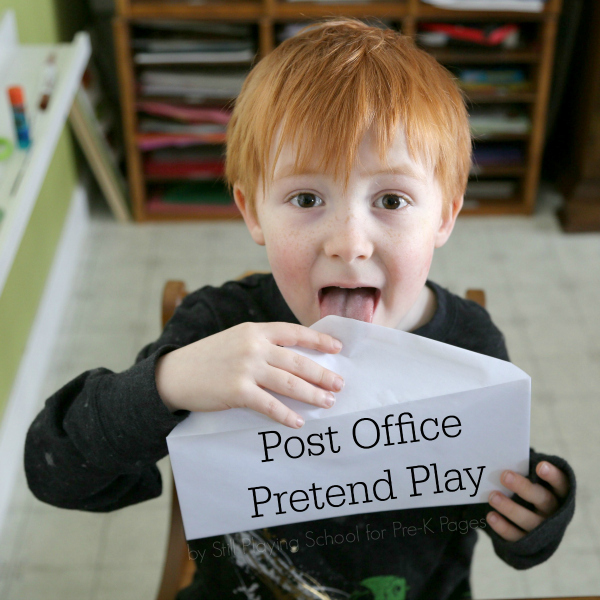 Our children loved the post office we created with the props from the Post Office Dramatic Play Kit! 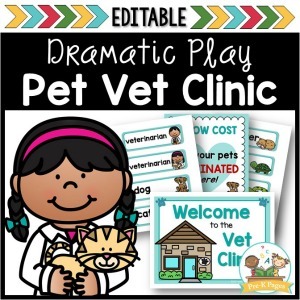 Dramatic Play Center Books for Preschool– Do your little learners love to play in the dramatic play center? 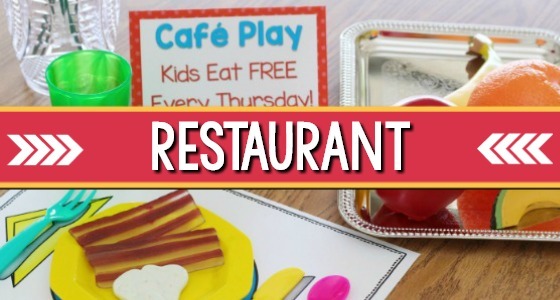 Pretend play is an important part of every early childhood classroom. 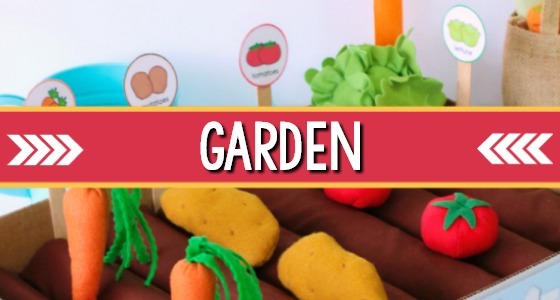 To enhance literacy in your dramatic play center you can add some picture books. 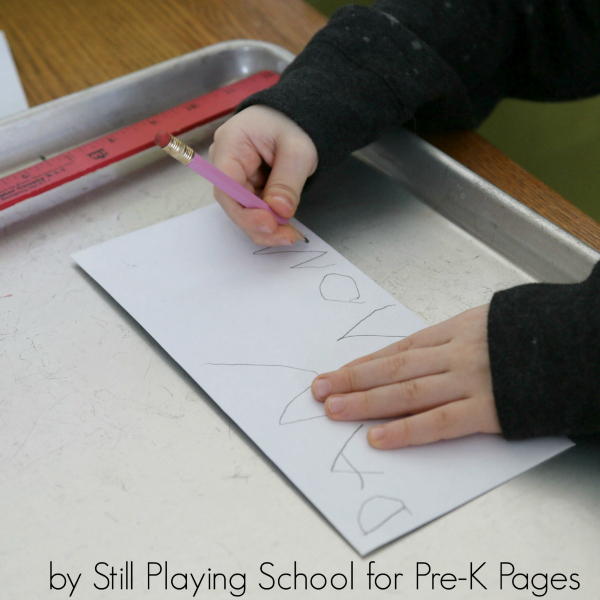 Here’s a list of my favorite books to keep in the dramatic play center. 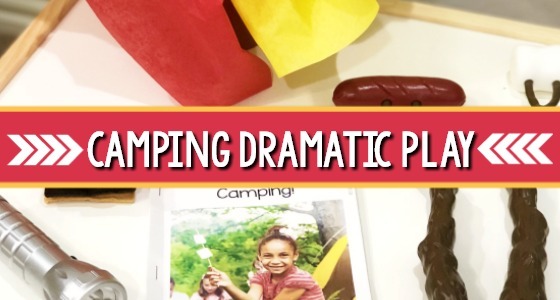 Pretend Smores for Dramatic Play Camping Theme– A camping theme in the dramatic play center is perfect for late spring or summer. 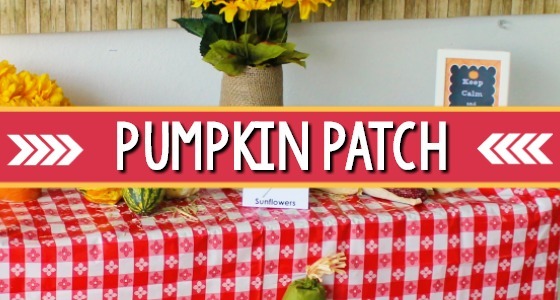 Young children are fascinated by nature, you can easily harness their natural interests and include a pretend play camping center in your classroom. 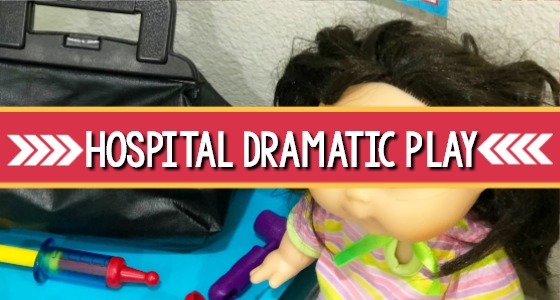 Dinosaur Dig Dramatic Play Preview– Do you struggle to find time to change out the props in your dramatic play center? 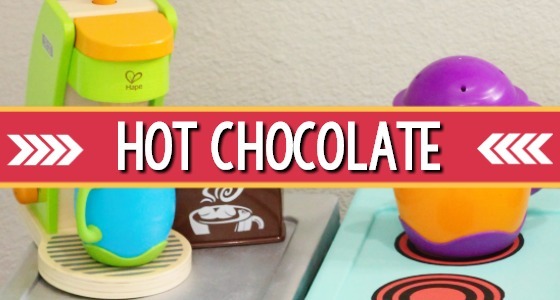 These printable props will help you easily transform your dramatic play center into a fun dinosaur dig site. 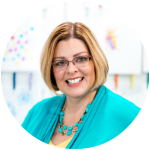 BIO: Devany LeDrew writes at Still Playing School where she shares intentionally planned play based learning activities. 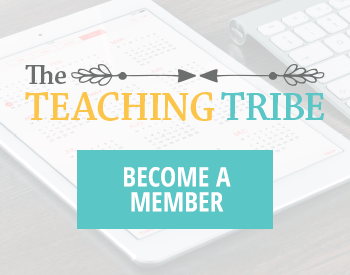 Follow Still Playing School on Facebook, Instagram, Pinterest, and Twitter!